«The atmosphere was incredible, the spectators freaked out and cheered for me. 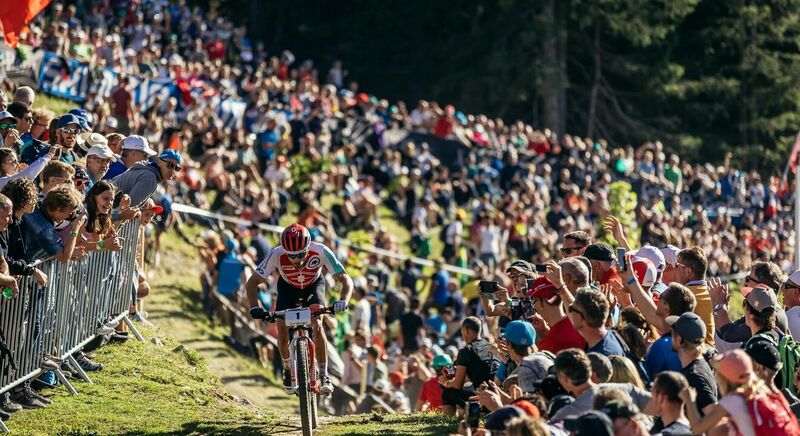 That's just not to be put into words» - Nino Schurter Cross Country gold medal winner UCI Mountain Bike World Championship. Would you like to be there when the world's mountain bike elite fight for hundredths of a second? Be part of the incredible crowd and cheer on the athletes from the edge of the track! 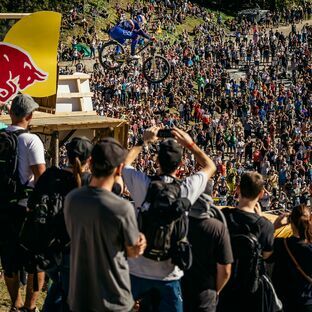 Whether with shouts, rattles, chainsaws or a whole Guggenmusik, the legendary audience in Lenzerheide is known for its mountain bike enthusiasm. VIP tickets, day tickets or weekend passes are available in the shop. Get your ticket now for the UCI Mountain Bike World Cup Lenzerheide.